Masking tape is one of the more diverse products on the market today. With so many different uses, and characteristics unlike any other tape, you can use it at home, at the office or even in your vehicle. Nevertheless, let us take a closer look at the many different functions of this tape, as well as how you can take advantage of this product throughout your everyday life. One of the lesser-known benefits of masking tape, compared to other types of tape, is that you can utilize it for labelling wires, walls, objects or anything else. Because of the light adhesive, you can stick this tape to anything without worrying about the tape causing damage. You can even label stationery like pens and pencils with this tape, as it can easily fold around objects and be applied in short, lengthy or even arbitrary cuts. Another fantastic use for the tape is for literally masking an object, wall or electrical circuit. What makes this particular tape so effective is that it is easy to use as a pressure-sensitive adhesive. Compared to packaging tape or duct tape, this tape can be applied, taken off and reapplied many more times, without you having to worry about it folding on itself or becoming unmanageable. This light adhesive also allows for the sticking to walls, without it peeling paint off when being removed, making it ideal for painting, electronics projects at home and sticking pictures, brochures or pamphlets up. Finally, this style of tape is unique in the fact that it is one of the only aesthetically pleasing tapes available. Apart from personally branded tapes, most other tapes focus primarily on function, with little to no consideration made for appearance. However, this tape is commonly white or another plain colour, allowing it to blend into various settings. This can be a large factor in situations where you are working in somebody else’s home, or if you are renovating and wanting to sell soon. Brown or black tape sticking out of electrical boxes or other areas can be distracting and take away from the visual appeal - making masking tape a very appropriate and smart choice for the visually conscientious consumer. If you are in need of quality masking tape that will serve you well in a wide variety of situations, then contact us here at Fastflex. 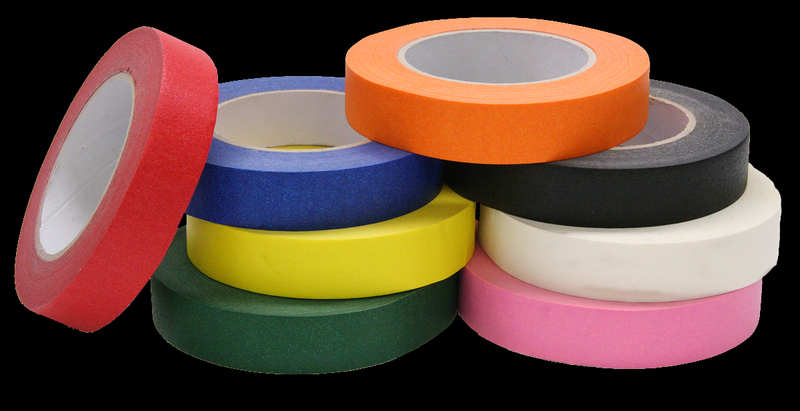 We stock many different types of tape for different applications and are always more than happy to help you choose the ideal product for the task at hand. Masking tape is one of the more diverse products on the market today.